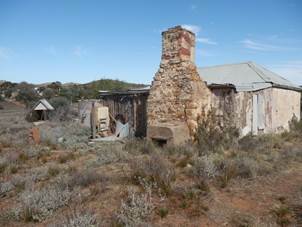 Numerous restored "miner's" and "settler's" cottages have been made available for tourist accommodation in the Flinders Ranges. Frances and Luke Warwick are therefore working in an established context. I went past the station turn-off a few months ago, on a trip to the Flinders Ranges. 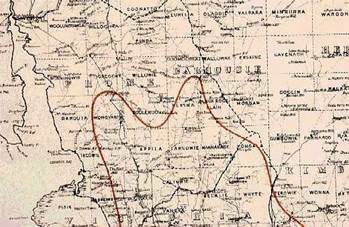 It is a region dotted with the ruins of heartbreak homesteads, farmers who didn't head Goyder's Line. The landscape appears to be reclaiming the pitiful efforts of Europeans, with piles of stones left from cottages just looking like natural outcrops, and rammed earth turning back to just earth. Pug and Pine is a local specialty, with Blinim in the northern Flinders Ranges having a regional concentration. There is a substantial family story behind the Holowilena property – both through the continuing family connection, and the difficult inheritance process. 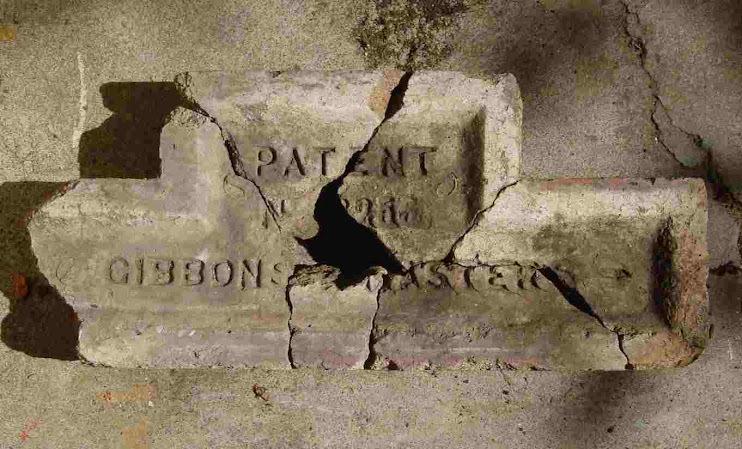 But the main story is really about how preserving old buildings at a local and personal level. It is as much a mainstream activity, and a part of Australia's history and environment as the big museums and tour destinations like the reef, the rock and the rainforest. Holowiliena itself has been pretty well heritaged, with articles under the auspices of the old Australian Heritage Commission going back 15 years. It was previously subject to an ABC Doco, so it was perhaps an easy choice for the show – maybe the ABC Adelaide production house as already being wound up as it was finishing. An Article in the ASHA Journal.Toured by the Blacksmith's association. Represented on tourist associations and with its own website. Its own facebook page. Looks like for the last episode, the ABC abandoned its 'Aussie battlers saving old houses' idea, and recognised the benefits of team effort, linkages to support organisations and specialist skills. That said, I thought Sibella's comment that the Warwicks had "not many heritage skills to speak of" a bit patronising and disingenuous, given the obvious skills that like most outback farmers they do have. Where else could a couple just go out the back and fire up a lime kiln? In fact, for a change the program actually showed some of the restoration and traditional building skills that go into making and maintaining houses. We saw lime burning and slaking, blacksmithing, hot riveting, plastering, bush carpentry, the very rare pug & pine building technique, bag sewing and limed hessian lining, as well as the interminable pointing. In the absence of a dramatic narrative (no evidence or a strained relationship and no clipboard wielding heritage bureaucrats in site), everyone could just get on with the hard work. The real dilemmas of heritage restoration are also given more space, such as the question of whether replacing all the wall timbers removes so much fabric that the restoration loses authenticity, and they are left with the replica rather than a restored original. 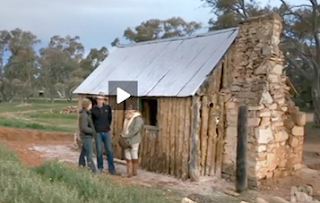 We can see the Burra Charter and the Conservation Plan in action. I wonder what documentation was done before the work was carried out and the original fabric lost for ever. The thousand hours of labour over a few days, that went into the work, equates reasonably well with a couple of years of weekends by the lone amateur restorer, reinforcing the point that all any building needs to bring it back and keep it going into the future is the right amount of effort. The ‘Construction Industry Training Scheme’, run by English stone mason Keith McAllister is replicated in many states. The range of skills available through the program should make any restoration project a cinch, if you can access it. The ICOMOS Traditional Trades Working Group is doing its part. While the evidence for lost archaeology was only circumstantial in this episode and it was hard to fault the methods employed, I did noticed that the original timbers in the scalp hut appeared to have been debarked, but the bark was left on the new timbers – I hope this doesn't cause problems for them when the bark breaks away. Given the heritage and restoration industry is worth billions, this modest program (and particularly as represented by the final episode of the series) should really be among a whole genre of television. Instead we get fake psychodrama, melodrama and soap opera wrapped in infomercials and 'reality' shows. The value of heritage is more than monetary, place defines us, and caring for it properly can cement our relationship with the world around us. Much better to fix up granddad's cottage the way he had it, than fuss over glass splashbacks or concealed lighting. Looking at some of these little cottages, it makes me wonder if I put my hand to it whether I could build something similar in my backyard in Malaga. I don't know if it will stand, but it'd be interesting to try!